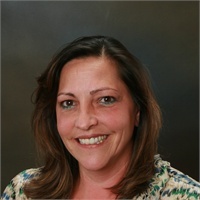 Beth has been with Hanscom Federal Credit union since early 2007. Previous to that she was with John Hancock for 17 years working with financial professionals and clients. She holds a Series 6 securities registration through LPL Financial. Beth works very closely with our Financial Advisors Linda Crowley, and David Thibeault. She very much enjoys meeting our members and getting to know them on a personal level and helping them with their administrative and operational needs. Beth enjoys spending time with her dog Chloe and her family, and she loves the Bruins and the Patriots!